Published on 19 January 2014. 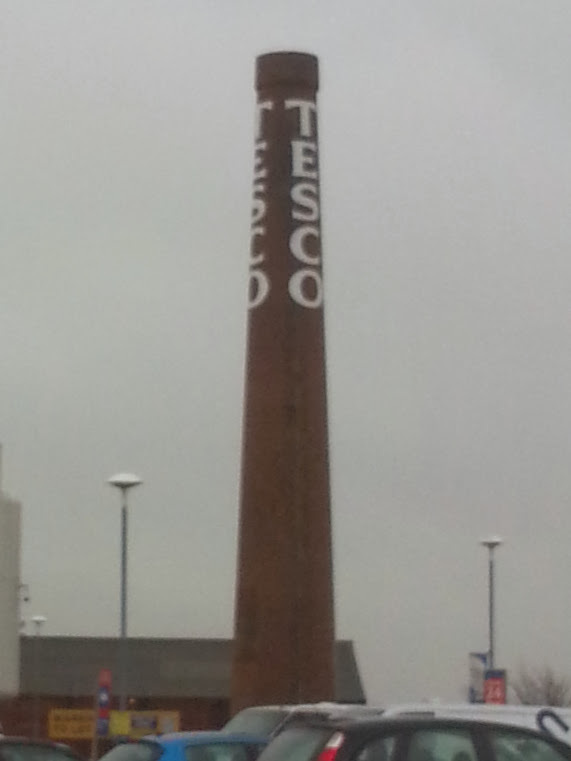 This is the chimney at the Tesco Extra in North Shields – against a very grey sky! The shop is in a converted factory warehouse, and this is the chimney attached to the factory. This 2,121st post was filed under: Photo-a-day 2014, Scrapbook.